Ok I give in but really the first two reviews say everything I have to say. Just back from the new, film adaptation of Tinker, Tailor, Soldier, Spy. Gary Oldman (Smiley) doesn’t chew the scenery instead he achieves a zen like oneness with his surroundings with a nuanced performance that conveys as much, if not more, than many of his earlier roles. The main supporting cast are note perfect in fact the supporting cast down to the smallest, none speaking part are perfect. Benedict Cumberbatch stood out for me as Peter Guillam, Smiley’s right hand, but come award season and there are going to be several potential contenders for best supporting actor here. The plot is gripping. The pacing is slow but perfect building to a climax without needing to resort to car chases or gunfights. I love Spooks and it can be brilliant TV but it can’t touch Smiley’s world. The last few years have seen the return of the slow burning thriller but this is the real deal from one of the original key texts of the genre. I knew the outcome yet still I had to keep watching. Everything else is pretty much on the money too from the film grading to the 1970s look to the sound track and sound effects to the cinematography. This is a worthy, slightly more adult, successor to the 1979 BBC TV series. There was the bizarre thing of one person at FACT laughing at moments as though it was the funniest comedy they’d ever seen and one woman as we were leaving who was overheard “I’ve read the book, I’ve seen the TV series and now the film and I still don’t get it”. In January it was a case of if you went to one film at the Cinema this year it had to be The King’s Speech. If you go to a second go to Tinker, Tailor, Soldier Spy. In fact if you didn’t go to The King’s Speech Tinker, Tailor, Soldier Spy – it’s as good. 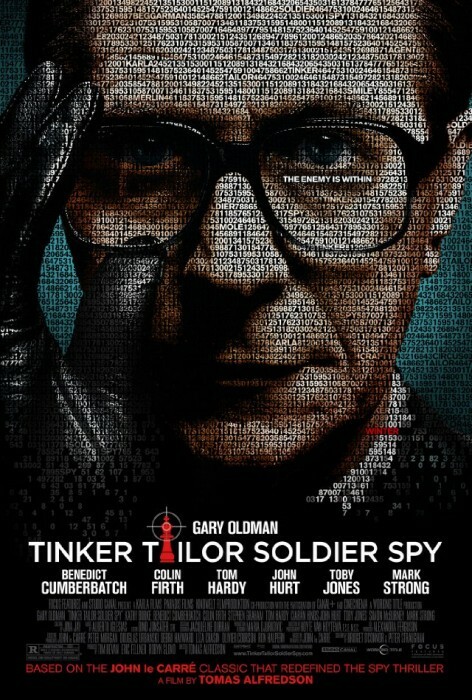 Tinker, Tailor, Soldier Spy is Bloody Brilliant.